I know you'll agree, it's the characteristic of this generation: toxic schedules. Sometimes we can't even have a decent dinner with our significant other. Heck, sometimes we can't even wash our hair. True? I can see you nodding there. Yes, at times even our most important relationships will have to take the back seat just so we can write a good piece. This is especially true when you're just about to start a blog. If you're a newbie, here's a beginner's guide to help you get started. For bloggers who are experienced, you're even more likely to be on the roll and will have to skip lunch, more frequently (at least, this is my reality). To maintain my momentum, from the moment I start and through the whole morning session, I'll just munch on a slider and grab a heavy snack at around 4PM just to finish self-imposed tasks. Then I'd have to tell myself — ahh... the things I have to do to run an online business. And let out a big sigh. Here's the thing. When you run schedules like the ones above, you have to write fast; the blogging industry now demands it. Indeed, it's undeniable; it's an ability we have to possess to be more efficient, to be more productive. As I ponder upon these thoughts, it hit me — I'm not the only blogger who can benefit from this skill. All of us can take home something from this piece. So... how can we write a blog post in 30 minutes? 1. List points and concepts - When you have an idea, scribble onto a notebook, pronto. Don't delay doing this. You have to capture the moment right when the idea hits you; that way, you won't lose any of your good ideas. When you're ready, pick one topic and write. Convenient, right? Efficient, too. 2. Open your first paragraph based on points you've saved - This is the best way to introduce your topic. By doing this, your audience will be properly guided on what you will tackle in the particular post they are reading. Most bloggers who are considered authorities in the blogosphere all agree on this specific principle: The way you introduce your post has a heavy bearing on the overall impact of your blog post. So do it with utmost care. 3. Write Using Key Points - Bullet points make your writing easy to organize. I'll let you in a little revelation; Carol Tice, one of the most respected bloggers today admitted that she prefers reading blog posts formatted with bullet points. And the reason why? She likes scanning through the post. ;) It helps her to read in an easier manner. If seasoned bloggers like her fancy doing this, how much more ordinary readers who, like you, always have to skim through articles because they want to move on to other tasks. 4. Pre-edit Before You Start (What's that?) - You have loads of ideas; I don't know about you, but that's fast becoming the standard scene in my work area. If that's the same in yours, be brutal. Edit out all ideas that don't fit the main topic. Remember, we're talking about how to craft a post in 30 minutes, not a comprehensive report. 5. Keep It Short (That's how to do it, baby!) - If you want to complete an article in 30 minutes, keep it under 600 words. Don't skimp on quality, though, and aim to be informative even with a short post. If it's at all possible, pack everything in a small package. Need I say more? 6. Knock It Out Fast And Return Later - Here's my strategy. (And you can emulate it if it fits your style)—Just bleed pen to paper. In case, you're stuck, don't force the words. Save your piece and focus on other tasks. When you're ready, go back to the blog post. Be guided accordingly. 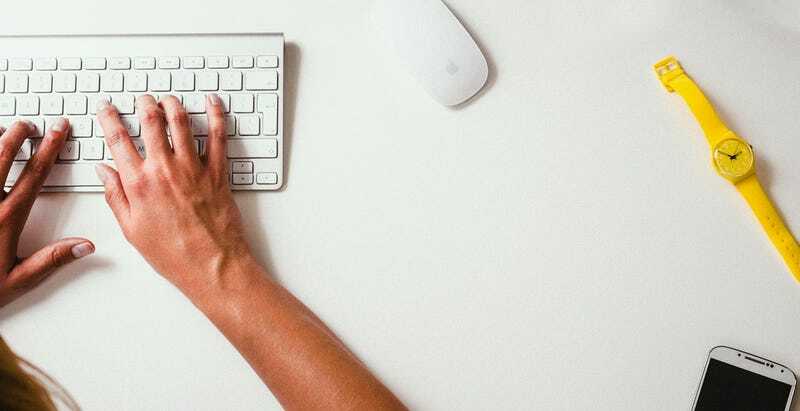 Follow these steps and you'll be on your way to becoming a blitzkrieg blog post writer; ready to produce posts to spice up your blog or other people's blogs.